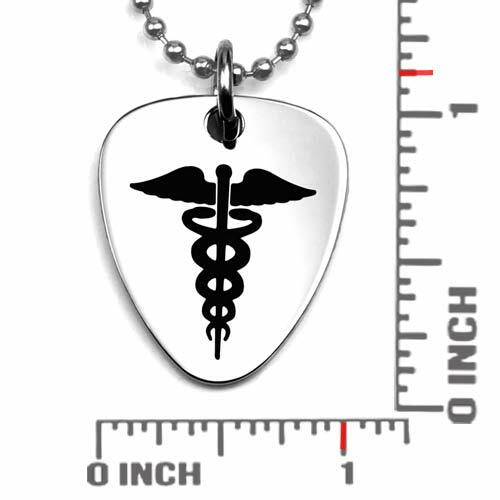 If you have medical needs, why not identify them with a representation of something you love: rock music! 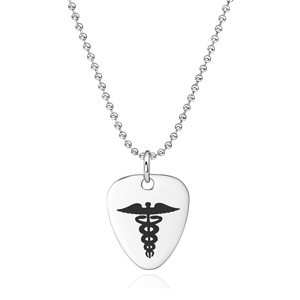 Our guitar pick style medical ID necklace is one of our most popular ways to keep your safety always on you. Add engraving to the back to specify your medical needs. Includes a 15, 16, 18, 20, 24, or 30 inch ball chain. Up to 6 lines of 16 characters each, including spaces!